Every microwave comes with a mounting hardware kit and instructions for installation. Many over-the-range microwaves also provide templates for drilling the wall and cabinet for mounting screws and venting. Before you begin, look over the instructions and locate all of the hardware and templates provided. 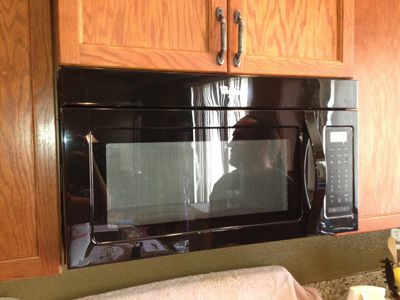 The first step to installing an over-the-range microwave is to decide on the venting option. The way in which you vent will depend on the unit and the configuration of your kitchen. 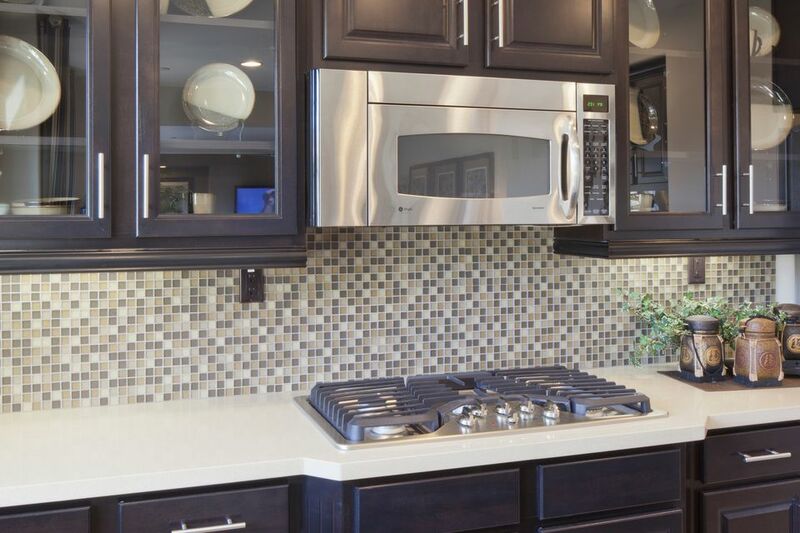 If you are replacing an existing microwave or a range hood, the best option will likely be to use the existing venting route for the new microwave. It may be necessary to install a new exhaust adapter, but you can use the existing roof or wall vent route. If there is no existing venting route, decide which option is best for your kitchen and use the template provided to open a vent in the wall or cabinet. If you are mounting the microwave on an exterior wall, then you can use a wall vent; otherwise, a roof vent will be needed. Proper range venting is very important so follow the manufacturer’s specifications for installing a new vent. Note: Make any necessary adjustments to the microwave’s blower to ensure that it will blow exhaust in the direction of the vent. Use a stud finder to locate and mark the studs of the mounting wall. When installing an over-the-range microwave, the bottom mounting bracket supports most of the weight, so it's very important that the location of the wall studs is accurate. Use tape to position the provided templates to the wall and the cabinet bottom. Line up the templates as indicated, position them all the way against the wall and keep them straight. Use a level to ensure that the templates are even. If necessary, transfer the stud location markings to the template. The size and location of the mounting holes are very important for installation. Use the drill bit size indicated to drill the mounting holes in the cabinet where the template indicates. Next, drill the opening for the electric cord to the size indicated on the template. Position the mounting bracket at the appropriate height by using the wall template. Use the stud markings to guide you as you screw in the mounting screws. Keep the mounting plate straight by using a level as you screw it into the wall. Double check that it is securely screwed into the wall studs as this plate will serve as the main support for the microwave. Note: Some units provide alternative mounting options for when there is only one wall stud available on the wall. Follow the manufacturer’s recommendations for bracing the mounting bracket if you can’t find studs to drill into. Mounting the microwave requires two people. Place the electric cord on top of the microwave so it's handy when you need to feed it up through the cabinet. While each person holds onto one side of the microwave, position the bottom back edge onto the edge of the mounting plate. There are tabs on the mounting plate that need to feed into the corresponding slots on the bottom of the microwave. When the tabs are in place, feed the electric cord through the opening in the cabinet. Then push the top of the microwave back and into position. While holding the microwave in place, reach up and insert the mounting bolts through the cabinet into the top of the microwave. Tighten the bolts to secure the microwave onto the cabinet bottom. Finish the installation by connecting the power cord and the exhaust adapter, if necessary, for top venting.